Rev. James H. Criswell (“Brother Jim”) was born in Dyersburg, TN. Accepted Jesus Christ as his Lord and Savior at the age of 8 and was baptized into the fellowship of First Baptist Church. Brother Jim and his family moved to Belmont, NC in 1956. He graduated from Belmont High School and attended two years at Gardner-Webb College where he felt the call to the ministry and met his wife, Phyllis Capps. Brother Jim and Phyllis moved to Jackson, TN in 1966 where he attended Union University and graduated in 1968 with a BA Degree in Business Administration and a minor in Music. While in Jackson, Bro. 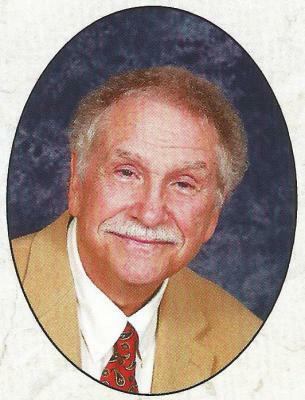 Jim was the Minister of Music/Youth at North Jackson Baptist Church from 1966-1970. In 1970, he returned to Union University for additional studies in Music Education. In 1970, Brother Jim became Minister of Music/Youth at First Baptist Church, Trenton, TN where he served for five years. IN 1975, his son, Jonathan, was born and the family moved to Fort Worth, TX to enter Southwestern Baptist Theological Seminary where he graduated in 1978 with a BA Degree in Music and a Master’s of Church Music Degree. While in Texas, Brother Jim served three churches with the longest stay being at Lake Worth Baptist Church, Lake Worth, TX. In 1981, the Criswell family returned to First Baptist Church in Trenton, TN where he served for 28 years as Minister of Music/Youth and Senior Adults. In February 2009, Brother Jim retired, realizing God was not finished with him, accepted a call here White Hall. “White Hall is filled with wonderful people who love the Lord. They are serving and giving people in the ministry of the Lord Jesus Christ."